One thing that politicos agree on these days is that we are now in the one of the most unconventional election cycles in post-World War II American history. Moreover, there seems to be a common thread of discontent with conventional and “establishment” politics in many “western” countries, as indicated by the Brexit, the rise of nationalist movements in Europe and social instability in Greece. Opinions on the “why” of all of this vary. Political shakeups are always complex, with multiple factors in the equation. One area that, in my opinion, has not been sufficiently explored is the role of social media and its apparent “tribalizing” effects. But that aside, some polls indicate that “international trade” is a key issue driving the unconventional side of politics. Virginia-based research company Deep Root Analytics (DRA) contends that international trade is “a major fault line” in this upcoming election. The results of their national survey show that 49% of Americans think that international trade has been “bad” for the country, and 37% say that it has been good. DRA found that determining where a person stood on trade highly correlated to how he or she would vote, although this “fault line” is more pronounced among Republicans and Independents than for Democrats. The economy has not markedly recovered since the 2008 market crash, and it is scarcely holding its own. For many American, real wage rates have been either flat or negative. The middle class is shrinking. Disparities between the wealthy and the poor have increased. Technology changes over the past 10 years have had pronounced and notable effects on the social, economic and political behavior of the populace. Today’s social media and related technologies have created some of the most pronounced social ruptures since the TV’s effects in the 1960s. Terrorism and domestic violence are contributing to a national sense of unease. On the international front, the “rules” of military engagement are changing. People feel insecure. These factors reveal that people have a sense of “losing control,” and they are looking for leaders that they perceive will help them take it back. 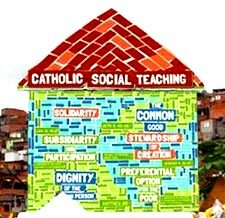 In terms of Catholic Social Teaching, you might say that there is a marked sense not being able to substantially “participate” in the political economy of the country. Democratic government, in fact, is defined first of all by the assignment of powers and functions on the part of the people, exercised in their name, in their regard and on their behalf. It is therefore clearly evident that every democracy must be participative. This means that the different subjects of civil community at every level must be informed, listened to and involved in the exercise of the carried-out functions” (Compendium, 190). On the basis of this principle, all societies of a superior order must adopt attitudes of help (“subsidium”) — therefore of support, promotion, development — with respect to lower-order societies. In this way, intermediate social entities can properly perform the functions that fall to them without being required to hand them over unjustly to other social entities of a higher level, by which they would end up being absorbed and substituted, in the end seeing themselves denied their dignity and essential place” (Compendium, 186). Without a deliberate application of this principle, “Participation” and thereby democracy would be compromised as the government became increasingly centralized. “Subsidiarity” would be necessary to maintain popular confidence in a government that claims to be democratic. For this reason, I would like to take a look at the historical context of the trade question, which is partly driving today’s unconventional politics. Of course, this is a complex issue, and there is more to it than can be captured in a brief overview. Nonetheless, I will focus specifically, though broadly, on the issue of “trade,” which DRA has called “a fault line” within today’s electorate. Hopefully, this will shed some light on the politics of our time. Fr. 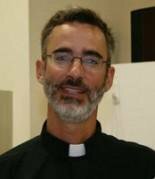 Frederick Edlefsen is pastor of St. Agnes Church, Arlington.